Jeddah: The market of restaurants and cafes in Saudi Arabia has been witnessing a prosperous growth, due to the economical stability and overall national security of the country, for the past years. These two main factors have encouraged national and foreign businessmen to invest billions in the hospitality sector, knowing that the market has the capacity to attract more profitable investment for the coming years. The appeal of restaurants and cafes market have become a main attraction to huge business household names, after studying its appeal to Saudi consumers. The market boom has not only attracted famous restaurant chains, but it has also caught the interest of international fashion brands to join the competition over Saudi consumers taste of delight. Given the fact that globally admired fashion brand has expanded its interest from fashion and accessories to luxurious cafes and restaurants. One of the most prestigious fashion brands that has joined the Saudi market lately is the Italian fashion icon 'Cavalli,' which has opened its branch of 'Cavalli Cafe” in Jeddah. 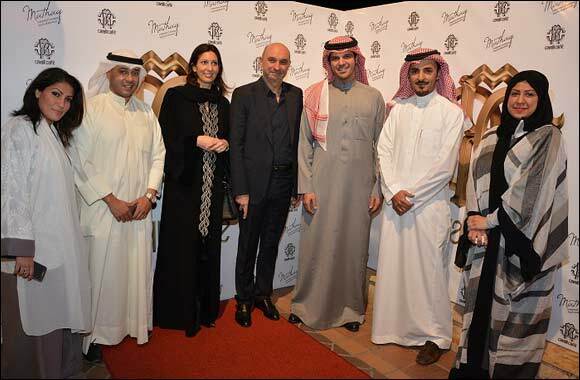 Jeddah's branch has become the third 'Cavalli Cafe' in Saudi Arabia, after opening two branches in Riyadh. The two Riyadh branches at - Rafal and Kingdom towers- were opened on 2014, through 'Mathaq' the exclusive agent of Cavalli in Saudi Arabia. 'Cavalli Cafe' did not settle down for being 'the' luxurious cafe in Saudi Arabia, as it has extended its interest to community social service, out of conviction that leading companies should have a positive role in developing the society, especially in Riyadh and Jeddah through strategic partnership.